Former Australian foreign minister Julie Bishop, the highest-ranking woman to serve in the two-term government, has announced she is leaving politics. Ms Bishop had faced months of speculation about her future after losing an internal party ballot to become prime minister last August. The vote handed the job to Scott Morrison. The upheaval also ended her 11-year tenure as Liberal Party deputy leader. Ms Bishop said she would not contest the next election, expected in May. She said it had been an "immense honour" to serve as the Liberal Party's first female deputy leader, as well as her Perth electorate of Curtin for two decades. "I am also proud of the fact that I am the first woman to contest a leadership ballot of the Liberal Party in its 75-year history," she told the parliament on Thursday. Mr Morrison thanked Ms Bishop for her "tremendous service", noting "the dignity and grace that she has always demonstrated in every single role she has held". As foreign minister for five years, Ms Bishop took a leading role in many prominent matters. 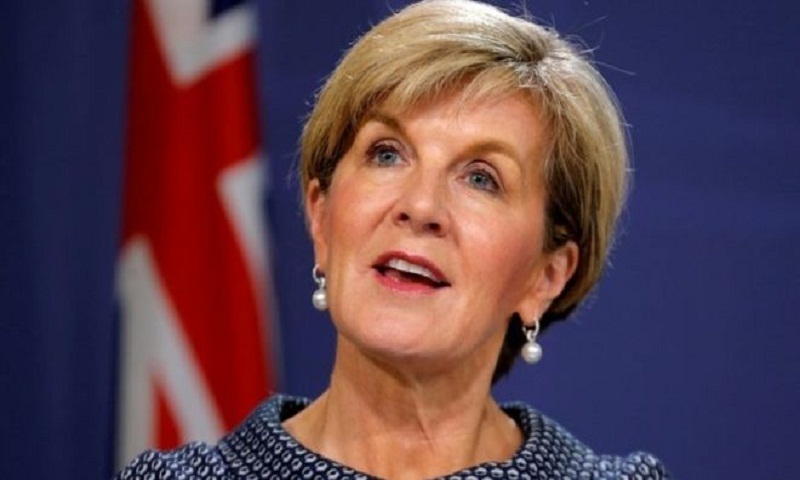 Notably, she was lauded for her handling of Australia's response to the disappearance of Malaysia Airlines flight MH370, and for calling on Russia to take responsibility over the downing of MH17. She relinquished her ministerial role in August, after the party turmoil and ouster of Malcolm Turnbull as prime minister. At the time, WhatsApp group chat messages leaked to Australian television network ABC showed that Liberal Party colleagues had tactically voted against her to stop a victory for Home Affairs Minister Peter Dutton. Mr Turnbull was among others who paid tribute to Ms Bishop on Thursday. Leader of the Opposition Bill Shorten said: "I hope that whatever she chooses to do in the future that she contemplates some form of public service." Ms Bishop's announcement comes at a time when the government has been criticised for not doing more to promote and retain female MPs.